Building a Martial Artists Body is the reason I got into fitness and strength training. I wanted to be a better martial artist. I didn't realise at the time the problems this would cause and how it would in fact lead me to not being "fit for purpose". In this article I am going to share with you some secret truths of my training motivation and the mistakes I've made along the way, so you can avoid them - or even make those same "mistakes" deliberately. There's a great video by Ronda Rousey, an incredibly talented martial artist where she describes, quite briefly and awesomely how her very specific fitness training created a very specific physique. Have a listen. Warning - there's some bad language in this. Definitely NSFW. Now Rousey makes an interesting point here - her training was Building a Martial Artists Body, one designed for combat sports. If she had different aspirations, her training would have been different and resulted in a different body. I can identify. When I was in my teens I was an adherent student of Shotokan Karate - a very direct, straight line form of Karate. My training was harsh and punishing, but it instilled in me a, how best can I say this, not love, but comfort perhaps, in discipline. I was very dedicated to Shotokan and at the time was possessed of a skinny, scrawny type of body. That wasn't the right body type for my style of Shotokan. I need to start Building a Martial Artists Body. I needed to be thick, heavier, with a body capable of delivering enormous strength, with dense muscle that would hurt those who hit it. I wanted to be he-man, a hulk, bulletproof and I found a method of training that would make me superhumanly strong and with remarkably hard muscles. Even today, Orla (my wife's) friends still marvel and comment on how solid I am - literally like warm marble. (A phrase I am quite pleased to see that was once used to describe Bruce Lee). My leg's can press over 3,000 lbs in their strongest range. I have bench pressed just over 600lbs from my strongest range. I have deadlifted over 1000 lbs! I can deliver a side kick with the force of over 4,500 lbs. I am incredibly strong. I can perform incredible feats of strength; tear phonebooks in half, bend wrenches in half, tear decks of cards with a simple twist, support men lifting weights while in a bridge and lift grown men overhead with one arm. I have a thick muscular physique. I am slim boned, my wrists measure only 6.4 inches. My forearms are just shy of 13 inches thick. My chest is a proud 44 inches thick. My shoulders, rest like boulders upon a wide back creating a 51 inch expanse. I look like a beast and in a way I move like one too. Despite only being 5' 7" in height I cut an imposing figure. This is nearly all exclusively muscle (though I confess my body fat has crept up of late - and yes, there's a deliberate reason for this - I need some awesome FAT to Ripped pictures and as you all know I LOVE to self experiment). These results were achieved in just 7 weeks of short 5 minute and less training sessions. I pursed this body, this strength. I wanted to look good, sure (and I do), but I wanted to develop devastating strength for combat. 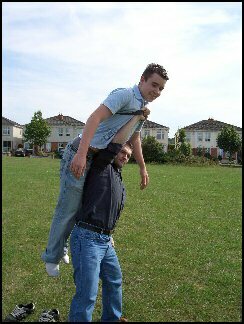 As a seasoned martial artist, specialising in Shotokan Karate, full contact, full force kumite and Reality Based Self Defence, I needed the dense thick muscular and pound for pound strength. I went from 130lbs scrawny to 169 lbs dense muscle in 7 weeks using Perfect Body. Three weeks later I was 182 lbs of muscle using Maximetrics. I repeated the Maximetrics Experiment two years ago, going from 167 lbs to a staggering thickly muscles 205 lbs in 6 weeks. This is a problem. I still practice my Shotokan daily, BUT, I no longer compete in combat, and I've learnt other ways of crippling people should I need to that don't require me to be the beast I was. 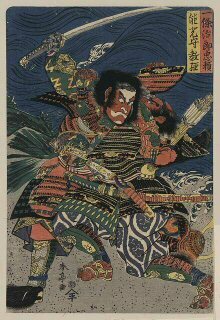 I've moved from the gendai (modern) martial arts to the study of the koryu (very old martial arts of Japan). 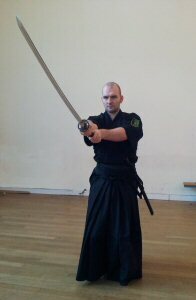 Today I specialise in an art called iaido or iaijutsu. 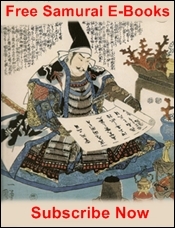 It is the art of strategy and using the Japanese Sword. If you'd like to learn more about it check out this article on my martial arts site. I strongly encourage you to check this out. 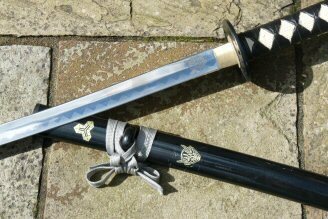 The benefits offered by Iai and koryu bujutsu are vast. And here in lies the problem - this is a different martial art - a different way of moving, there is only a certain amount of strength necessary to swing and cut with a sword. Too much and you won't cut. You also need a different form of strength, not one so much of muscle, but of tendon and ligaments, of unusual rarely used muscles placed in odd positions. 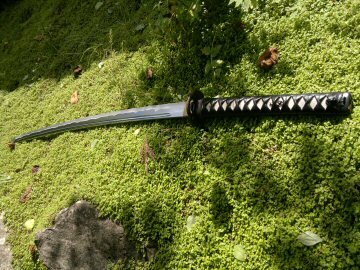 Today I am a student of the koryu bujutsu and have been exclusively studying these old (pre 1866) methods of combat, particularly Japanese Swordsmanship for nearly 7 years now. In that time I have learnt that my great strength counts for very little - in fact, as my Sensei put it, it's been holding me back. The problem, comes from my structure. 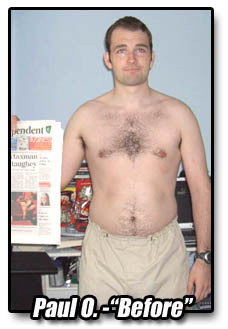 Yet, if you were to take a casual glance you'd say I have excellent posture - a straight military like bearing. But this isn't the actual case...you see my back may be straight, but my pelvis tips forward ever so slightly, my toes point nearly 45 degrees outwards with every step I take and when I stand still. 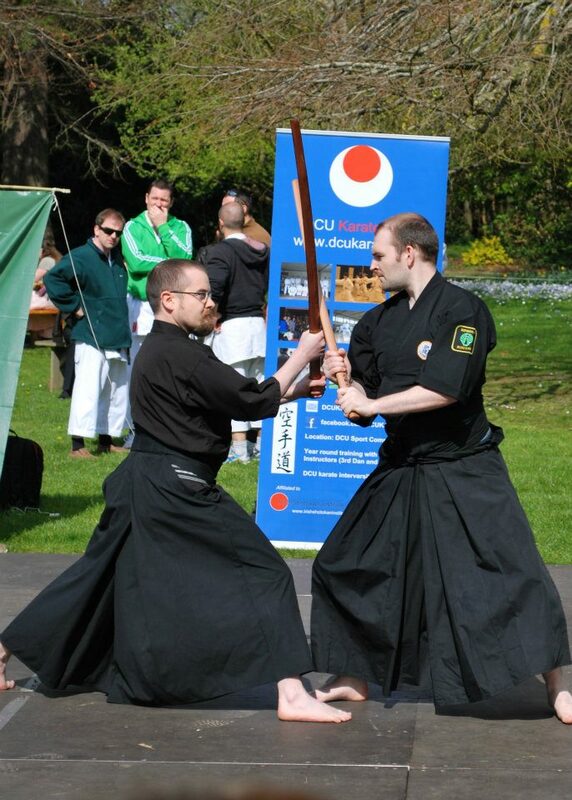 This is incorrect for Iaido and many of the koryu bujutsu. As I mentioned I designed and built my body for a very specific purpose, Shotokan Karate and hand to hand combat. This lead to the development of a number of key muscle groups, my hips, abdomen, glutes, chest, back and shoulders. Because of the martial arts stances in this style my feet move outwards due to the over development and tightness of my glutes. Because of my leg strength I naturally take deep stances such as Zenkutsudachi...far too long for swordsmanship - and while it may be stance that gives me great stability for a reverse punch, it is too long to get up from without a forward tilt and offering my head to an opponent with a 3 foot razor sharp sword. 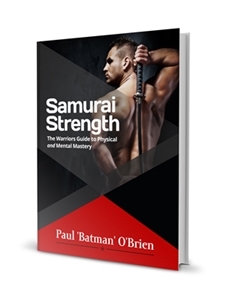 You've been reading about Building a Martial Artists Body. 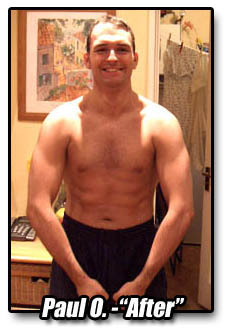 Check out the fitness program I developed to build my Shotokan Physique fast.